This is our journey testing the best fresh dog food companies. We also detail what the differences are between NomNomNow, The Farmer’s Dog, Ollie, Pet Plate, among others. Each company also offers a trial order and a HUGE discount (see below). Human’s are not the only ones trying to eat healthier in today’s fast paced world – the health craze has expanded into the food we feed our pets. 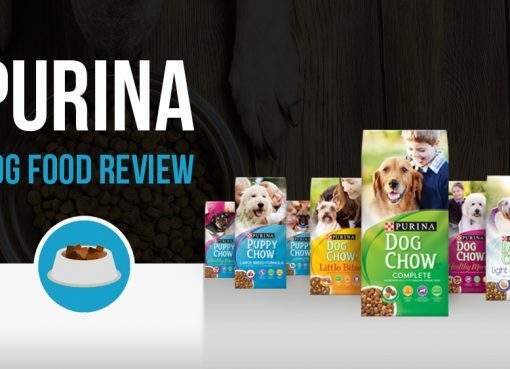 As dog owners continually search for the best food for their dogs health, companies have been stepping up to deliver higher quality options. One of the latest trends that’s rapidly gaining popularity is getting fresh, homemade dog food delivered to your door (think Blue Apron, but you don’t even have to cook it). We all know that the dry dog food you pick up at your pet store is filled with preservatives to keep it from spoiling and who knows how old the ingredients they use are before they even start the manufacturing process. These are all reasons why the movement to homemade dog food is gaining traction. But doing all of the shopping for the ingredients for your dog as well as prepping the meals can become extremely time consuming, which is why so many dog owners are turning to fresh dog food delivery subscriptions as the perfect solutions to feeding their dogs healthy foods without hours of preparation. 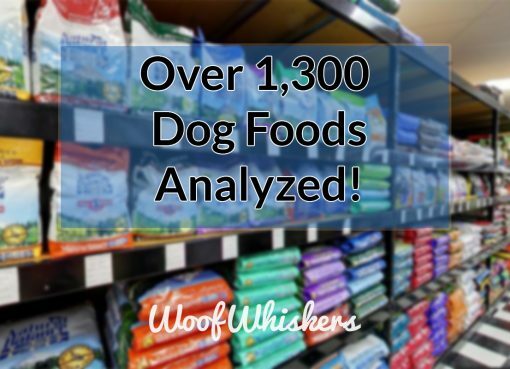 We reviewed all of the current fresh dog food companies – here’s how we rank them. 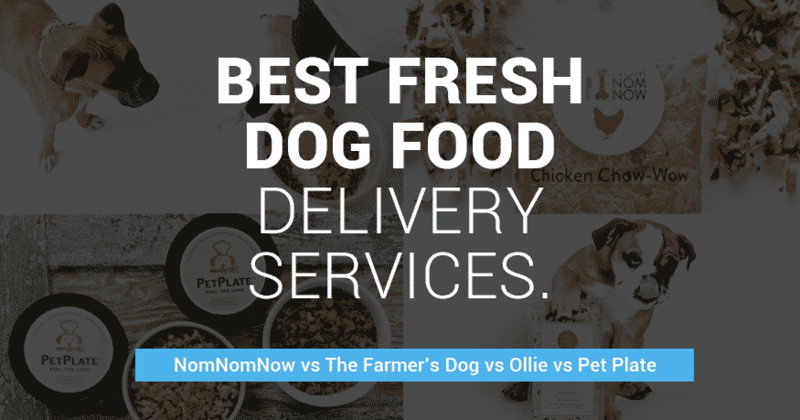 Which Dog Food Delivery Company is Best? There are many different raw dog food delivery services out there today, and choosing one right for your dog can be difficult. We’ll go in depth for each delivery service and you can choose whichever sounds right for your pet. It will largely be a combination of price, recipes, and personal preferences that lead you to your decision – there’s no single delivery service that’s “right” and others that are “wrong”. With that said, we found quite a few pros and cons of each company, and currently prefer The Farmer’s Dog. NomNomNow is one of the go-to companies in this industry and often one of the most talked about names, and for good reason. NomNomNow offers the largest selection of recipes (5) and also offers an egg and veggie medley for those with a lot of protein allergies or sensitive stomachs. Even though we list tear-apart lids as a pro on the list below, we did want to call out one issue with this (even though it may have been a fluke). One pack of our first 14 day trial order had a little bit of food underneath the seal which prevented it from having an air-tight closure. Close-up of NomNomNow’s chicken recipe. Read the full review here. As a result, after 2 days in the fridge the bag expanded with air and had gone bad. Again, this was likely a fluke, so I personally wouldn’t let it affect my choice in ordering it again (as long as it wasn’t a frequent event). The most recipes available, coming in at 5. Besides the fresh human-grade ingredients prepared in their New York facility, one of the most amazing things we love about The Farmer’s Dog is that they offer completely free DIY dog recipes. Now, you may be thinking – why is a company that sells prepared fresh dog food giving away free recipes so you can make them yourself and save money? This goes to show that The Farmer’s Dog is on a mission to improve the health of dogs everywhere, and not just to increase profit. With that said, they do recommend to include their supplement pack to your DIY recipes, because homemade dog food often lacks the full spectrum of vitamins and minerals dogs need. Close-up of one of The Farmer’s Dog recipes. Read the full review here. During our review, we loved everything from the ordering process and shipment (including funny marketing materials on every box) to the high quality and tasty recipes. Here are a few more reasons why Farmer’s Dog is one of our highest recommended fresh dog foods. Update: for a limited time, The Farmer’s Dog is offering Woof Whiskers readers 50% off your first order when you order through this link or the button below! Simply click “use your discount now” at the top of their webpage. Grocery Pup is the newest entrant in the fresh dog food space, and they are certainly making a splash. The most unique aspect is their cooking method. Grocery Pup uses the new cooking craze sous vide. This is a low and slow method of cooking with incredibly precise temperatures; the result is more flavorful and nutrient-packed food. Close-up of Grocery Pup. Read the full review here. Rather than customizing each pack of dog food to a specific daily feeding size, Grocery Pup uses one size and relies on you to refrigerate the leftovers. I personally like this method. Since I have a larger dog, I often thaw two packs at once and then put it all in a large Pyrex glass bowl with lid. Ollie works a bit different than the others here on our list in terms of food containers and serving methods; however, in terms of quality, Ollie is just as high as the rest. We explain about their packaging a bit more in our full Ollie’s review, but the jist is: food is packed in larger containers and you use a custom-sized scooper to measure the correct amount for each feeding. Close-up of Ollie’s. Read the full review here. Another thing we really like about Ollie is their transparency. I highly recommend you check out their manufacturing process to see how they do everything from cooking to packaging. 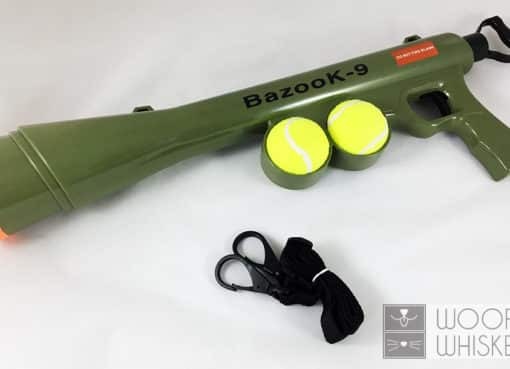 Seems like heavier use of plastics. Definitely need to recycle the containers! Petplate had a brief media stint on ABC’s Shark Tank when founder and owner Renaldo Webb asked for a 10% investment in his company, but ultimately left the room without a Shark. This didn’t stop Webb, as he is full steam ahead producing human-grade food for dogs and introducing new recipes. Close-up of Pet Plate’s beef recipe. Read the full review here. PetPlate’s serving bowls definitely stand out from the rest. Serving each meal is very easy, as you don’t have to deal with squeezing food out of a package. With this convenience, however, comes a ton of plastic – so you’ll have to be sure to recycle! Heaviest use of plastics, definitely need to recycle! Fewer ingredients – fresh dog food meals typically have around half of the ingredients as dry dog food, but that doesn’t mean fresh meals are lacking! Less artificial ingredients and preservatives – fresh meals drop a lot of the artificial ingredients and preservatives that allow dry dog food to stay edible for months since fresh meals will be consumed within weeks. Fresh meals also don’t have a lot of unnecessary things like food dyes in them to try to appear more appetizing, so it’s less unnatural items for your dog to consume. Fresh ingredients – when dry dog food is manufactured, all the ingredients get grinded up and mixed together to form uniform pieces of kibble. There’s no real way for you to tell the quality of ingredients that went into the kibble, you just have to trust the manufacturing process. With human grade dog food, you can really see the raw ingredients that are going into the meal so there’s no way for undesirable food to enter your dog’s diet. Convenience – while dry dog food may be the most convenient way to feed your dog, fresh dog food delivery services do make feeding your dog a top quality diet much easier than doing it on your own. It takes the stress out of sourcing the ingredients and creating recipes your dog will actually eat, so it’s a great time saver. Transitioning to fresh dog food can take a week or two if your dog currently eats kibble. One of the most important steps a pet parent must make when deciding to purchase fresh dog food delivery is ensuring a slow transition, especially if they are currently on a kibble diet. Dogs that eat a full kibble diet can take upwards of two weeks in order to fully transition. 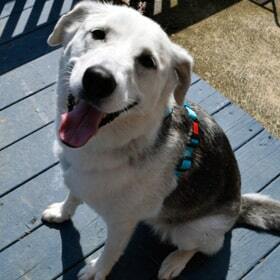 This is because their stomachs get very used to digesting the kibble, and when you quickly switch to real food, your buddy’s stomach will be really sensitive and likely result in an upset stomach, diarrhea, loose stool, or even vomiting. But don’t worry! All you have to do is slowly introduce the fresh food while continuing to give kibble. The general rule of thumb is to first give a treat-size portion of the food to your dog just to make sure they don’t have any type of allergy you didn’t know about (the great thing about fresh dog food delivery is the limited ingredients – so it should be easy to tell). After that, you can mix their meals 50% fresh food and 50% kibble for a week – you can gradually increase the amount each day as well. If you have a dog with an overly sensitive stomach, you may want to extend this process over two weeks. Another amazing thing about these dog food delivery services is that they help you with this transition. During the ordering process, if you select that your dog is currently eating 100% kibble, they will curate custom-sized packs of food for your first two weeks, giving you exactly the amount needed in order to transition your dog! I just recommend sending them a quick email to let them know you plan on transitioning from kibble to fresh – their team can curate a tailored plan for your dog. Is Homemade Delivery Dog Food Hard to Make? If you’re transitioning from dry dog food, you may be concerned about the difficulty or time it takes to serve your dog fresh food. Luckily with these delivery services, it’s not hard at all – that’s the main benefit of going the delivery service route vs making it yourself. Typically, the dog food is delivered in a perfectly portioned packages and you can simply open it and serve immediately. No real cooking process needed or messy cleanup. My dog loves Ollie and I prefer to feed him it. I’ve been feeding him the beef option, and in contrast to other brands, Ollie includes beef liver, heart, and kidney, which I think is great and in my opinion provide a better source of well rounded nutrition! I’ve tried at least 4 other brands and he always comes back to this, and it has helped his stool remain firm. He rarely farts anymore and when he does it’s not smelly. As for the measurement, once you go through 2-3 containers, it becomes easy to approximate how much to feed. I’m sticking with this brand but your mileage may vary.